Reviewed the Compliance & Ethics Department’s electronic records in order to propose a new record management system that meets the department’s satisfaction and comply with OMERS Classification Scheme, Retention Schedule and Disposition Procedures. This entails examining, analyzing and interviewing the department’s use, creation, distribution, disposition, and maintenance of their paper and electronic records in order to make recommendations that meet OMERS Record Management Standards. During the last year of my undergraduate degree, I accepted the position as the Coordinator & Contributor for the 2014 Black History Month Supplement for Excalibur Publication Inc, a York University Community Newspaper. At first, I was doubtful because of the time constraints (I only had less than four weeks to produce this supplement, and I was already taking a full course load, and working). Nevertheless, I decided to accept the project because I used to be a staff member at Excalibur and wrote some articles and poems for the previous supplements. After much searching, I decided that I wanted to focus on something anyone could relate to, either directly or indirectly, and that was attitude—specifically black attitude. This topic was personally important to me because it was about combating the stereotypes of black attitude. This was my opportunity to bring forth the expectation we have of other race, ethnicity, and cultures’ behaviour and attitude. I wanted to explore how we deal with our reaction when we meet someone who demystifies the pre-constructed notion we (the media) have prescribe. Also, the black attitude was a very big conversation circulating through the social medias and YouTube. To find out more about some of the article ideas and the contributors I was able to amass, visit Excalibur. As part of completing my BA in Professional Writing: Book Publishing at York University, I had to partake in a practicum class under Leaping Lion Books publishing.There, I had the opportunity to be the Production Director and the Designer for Stan Rogal’s collection of short stories Obsessions. My role as the Production Director entail overseeing two production assistants and communicating with the printer to establish printing quotas for the book. I also created the Kobo Life Writing account for the e-book version of the book. As a designer, I did some of the layout for the book using InDesign. I also created the e-book version of this book using both InDesign and Sigil to make sure all of the text and metadata were correct. Zircon Press is a small online independent press that publishes creative electronic books. 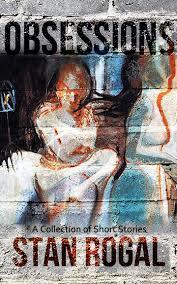 Zircon Press publishes avant-grade poetry, short story, and memoirs. I created Zircon Press because I wanted to self-publish my own books, and importantly, have control over its distribution and publication. I also wanted the creative license to explore and be adventurous with my methods. Plus, I love all the creative works that go into publishing a book, especially electronic books.